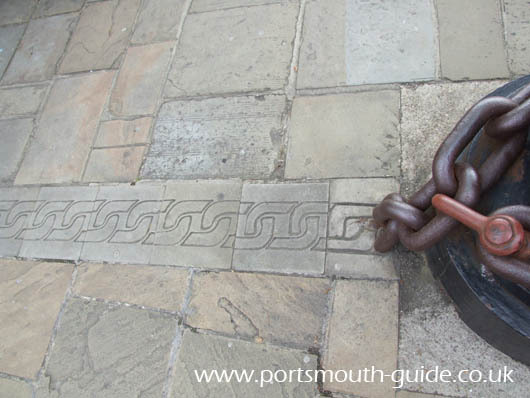 Portsmouth has linked many of its historic attractions together with a millennium walkway. 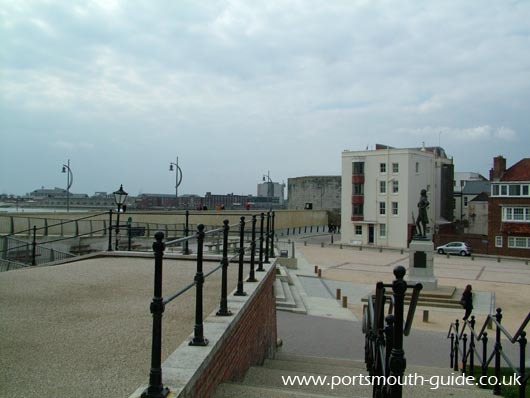 The millennium walkway runs from the Historic Dockyard along the front into Old Portsmouth and along the fortifications along side the Square Tower to Clarence Pier. The millennium walk consists of new lighting along the walkway and a chain motif in the ground. The tourist information office provide talking wands to guide you along the walk, more information about this can be found here. 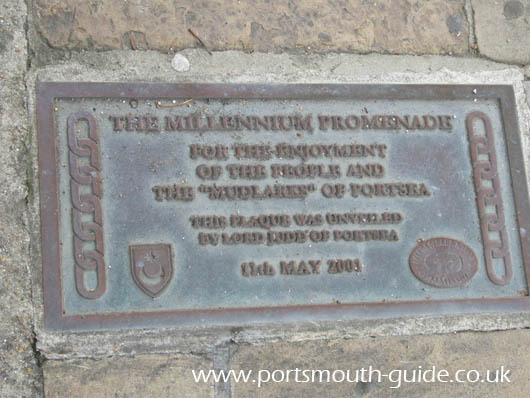 The picture below shows the start of the Millennium Walk adjacent to Portsmouth's Historic Dockyard and the picture below that is the plaque denoting what the walk signifies.